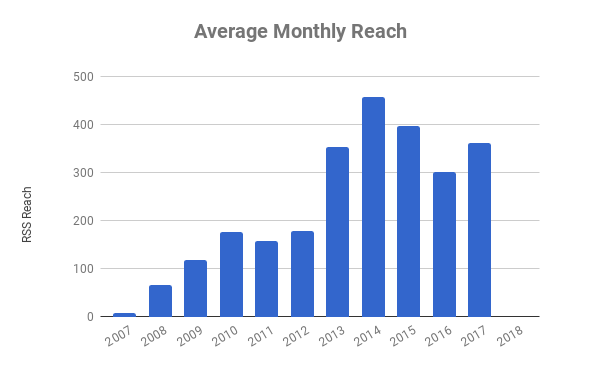 Just over two years ago in April 2016 I posted the blog's RSS readership stats and it's time to post some updated figures. 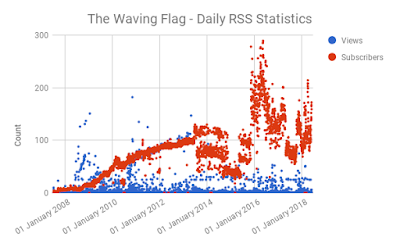 As regular readers will remember I’m a great fan of of RSS and make heavy use of www.feedly.com to monitor hobby, technology and sport news along with lots of diverse hobby web sites. These figures are important because RSS reader views (or hits if you like) don’t always show in the regular page visit statistics. In general the blog's RSS subscriber base has remained strong and it shows my readership is far stronger than my site visit statistics would suggest. 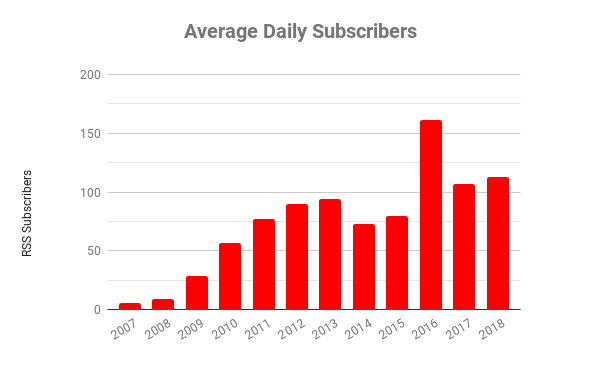 It's looking good with a steady increase in daily subscribers (I don't know what happened in 2016) an stable(ish?) 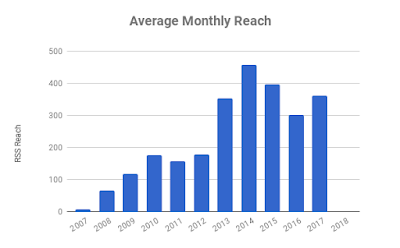 level of reach (which Google use to measure use outside the subscriber base).